Notice: We are not insurance professionals. What’s mentioned below is our interpretation based on reading the policy for Carnival’s Vacation Protection. There could be errors or misunderstandings. If you have questions, refer to the Carnival website or call the program administrator at 1-800-331-2796. When you book a cruise, you likely focus on the fun. You think about the warm sunshine, the free-flowing drinks, and the exotic ports of call. And while 99% of actual cruises are filled with exactly these sorts of highlights, that doesn’t mean every trip goes perfectly. The honest truth is that unfortunate events can and do occur on cruises — and even before you reach the ship. Flights can get delayed, luggage can be lost, and illness can hit, just to name a few vacation-ruining experiences. To keep your trip worry-free, cruise lines highly recommend purchasing some sort of trip insurance to protect against any unexpected issues. In fact, many cruise lines even have their own plans that they sell to passengers during the booking process. One such plan is Carnival’s “Cruise Vacation Protection.” This service is offered to every passenger during the booking process (it can be added later on, but it makes sense to buy as early as possible if you plan to purchase it). The protection covers many of the most common trip interruptions, which we detail below. Of course, the big question is if you should purchase Carnival’s plan for your trip. We’ll help you answer that question here by giving you an overview of the plan and its benefits and comparing it to typical cruise insurance so you can decide which plan is right for you. You are directly in a traffic accident on the way to your cruise departure that causes you to miss the ship. Your home is made uninhabitable by a natural disaster. You are called in to serve jury duty or a subpoena. You are called to serve in active military duty to respond to a national disaster. NOAA issues a Severe Weather Warning or Watch en route to or at the port within 48 hours of departure. A flight, bus, train, or cruise is delayed due to weather, causing you to miss more than 50% of your cruise. The birth of a grandchild, niece or nephew. Cancelling because of another obligation that comes up, such as work or a wedding. Your flight is delayed due to a computer malfunction. It should also be noted that the coverage has a “pre-existing” condition clause when it comes to medical conditions. If you or your traveling companion have a condition that “first presents, worsens, becomes acute, or has symptoms causing a person to seek diagnosis, care or treatment or prompts a change in medication, during the 60 days before the Cancellation Fee Waiver Program is purchased” then you aren’t eligible for the 100% refund should this medical issue cause you to cancel your cruise. Don’t think, however, that if you have to cancel for a reason that’s not listed above that you are simply out of luck. The Vacation Protection does offer an “Any Reason” clause that refunds up to 75% of your cruise cost as a Carnival credit. Put simply, if you have to cancel for any reason — even if you simply don’t feel like going anymore — then you will receive 75% of what you’ve paid as a credit for another cruise. One thing to keep in mind with all of this is that Carnival does have some refund policies already in place for all passengers. However, these can be restrictive. For example, those traveling on a 7-day cruise, then you can cancel up to 75 days before departure and receive all of their money back. For shorter cruises (5 days or fewer), you can cancel up to 60 days before sailing. Keep in mind that if you book one of the cruise line’s special fares such as the Early Saver or Super Saver, then charges might still apply. For instance, if you purchase Carnival’s cheapest “Pack & Go” fares, the cancellation charge is 100% of your fare. This offers some protection about changing your mind on buying a cruise as you can still can get something back in many cases, but its could still put you out a lot of money in certain situations. Of course, there is the possibility of incurring more expenses than just missing the cruise itself. For that reason, Carnival’s Vacation Protection offers second batch of features that are akin to traditional travel insurance and cover things like airfare, medical expenses, and lost baggage. Being directly involved in a traffic accident while en route to departure. Being hijacked, quarantined, have jury duty or being subpoenaed. Having your home made uninhabitable by natural disaster. Being active duty military and needing to provide relief for a national disaster. Being fired or laid off after being at a job for at least a year. A travel warning from the National Oceanic and Atmospheric Administration that travel should be avoided to your destination. Delays due to weather that cause you to miss more than half your trip. While it’s nice to know there is coverage for transportation and airfare, the big worry many have is paying for medical expenses in another country. Often health insurance doesn’t provide full coverage in foreign countries, so peace of mind with extra coverage is nice to have. Carnival’s plan reimburses up to $10,000 for medical expenses, as long as the condition first occurs while on the cruise. So if you come down with a virus on the ship and have to be taken to a hospital, it is covered. If you have cancer that you are treating and have to go to the hospital on your trip, it wouldn’t be covered. Like most travel insurance, the plan only pays benefits after any other traditional insurance you might have. One of the scariest thoughts is what happens if something happened out in the middle of the ocean and you had to be evacuated off the ship? In that case, this plan will cover up to $30,000 in evacuation expenses. This also covers transportation if you are hurt on-shore and have to be taken via ambulance to a hospital. One additional feature worth noting is that emergency evacuation also pays for some instances of airfare. This includes round-trip airfare for one person of your choosing to where you are hospitalized if you are traveling alone and in the hospital more than a week. As well, the plan pays for airfare for you to get back home. The Vacation Protection pays up to $1,500 for lost, stolen, or damaged baggage from the time you leave your home to head to the port (including any air travel) until the time that you return to port and leave the ship. If your bags are delayed, you can be reimbursed up to $500 for clothing or personal items you have to purchase in the meantime. The final component of Carnival’s Vacation Protection is a 24/7 hotline that you can call for travel assistance, medical assistance, or emergency service. This service can help you with flight changes, transportation, weather updates, finding hospitals, emergency medical assistance, and legal help. Odds are that you won’t have to use these services, but they are nice should you need them. You can buy Vacation Protection when you book your ticket, and it’s the best time to do so if you plan to purchase the plan as it gives you the longest stretch of coverage. 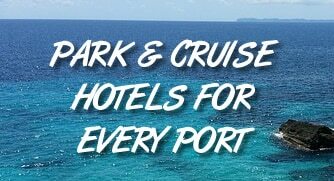 Prices vary depending on the price of your cruise fare, but we found a range from between $49 per person for the least expensive cruises, up to $189 per person for pricier trips. In general, expect the cost to run about 10-15% of your cruise fare, before taxes, fees, gratuities or other expenses. It can sometimes be more or less that this estimate. If you do decide to purchase the package, it does come with a 10-day review period. If for any reason you change your mind about coverage, then you can cancel within 10 days for a full refund, assuming you haven’t made a claim. While Carnival’s plan is better than nothing, our opinion is that cruise passengers are better off with traditional travel insurance, which offers better benefits and coverage for about the same price. For example, we looked up travel insurance from AIG Travel Guard. Getting a quote for two hypothetical people aged 65 years who spent $3,000 on their cruise, we were quoted $223 for their silver plan. That same trip would cost about $240 through Carnival’s plan. While Carnival offers a 75% credit under their “any reason” cancellation policy, most traditional travel insurance doesn’t have this sort of benefit. However it is something that can be added on. Apart from that, independent insurance usually offers much better coverage. For example, it can cover pre-existing medical conditions and is more lenient on what constitutes a covered expense. It also typically has much higher payouts. It’s common to see $25,000 in emergency medical coverage instead of $10,000. You can also find many plans with $500,000 in emergency evacuation coverage compared to the $30,000 offered with Carnival’s plan. For third-party travel insurance, we suggest using a site like InsureMyTrip.com. This site can search several different insurers at once so you can compare multiple quotes, see how much your cruise insurance might cost, and everything that it covers. Get a free quote here. Note that we are an affiliate of InsureMyTrip.com. Should you decide to get a free quote, we receive a small commission at no extra charge to you. Cruise insurance can be tricky to figure out, that’s why we’ve decided to cover some of the most common questions here regarding Carnival’s policy here. What happens if I get sick and can’t go on my cruise? This is exactly what the cruise insurance was made for. If you, your traveling partner, or immediate family gets sick (to the point of needing doctor’s assistance) and can’t make your cruise, then Carnival’s policy will reimburse you 100% of what you paid. Am I covered if I am on an excursion and get hurt? Yes. Should you have an accident, you are reimbursed up to $10,000 in medical expenses. Keep in mind that your regular health insurance should be used first, before payment from the Carnival Vacation Protection plan. Can I get my money back if I cancel a cruise without insurance? In some cases yes. If you decide to cancel a cruise well in advance, you may be eligible for a refund of what you’ve paid, even if you don’t have cruise insurance. See the schedule earlier in this article for what sort of refund you are eligible for. Notice: We are not insurance professionals. What’s mentioned above is our interpretation based on reading the policy. There could be errors or misunderstandings. If you have specific questions, refer to the Carnival website or call the program administrator at 1-800-331-2796.